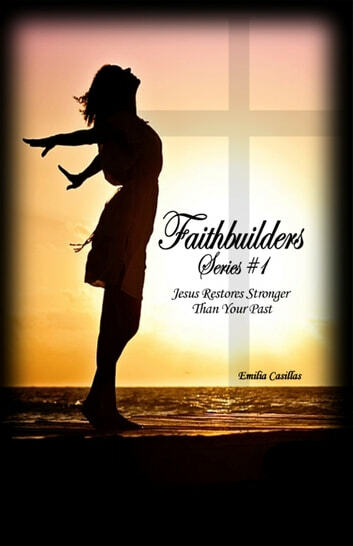 Emilia Casillas has a personal relationship with Jesus Christ. She believes faith is an intangible muscle that can be developed to become a more stable and healthier soul. But her spiritual life was not always so grounded. It all started at the early age of five. She held on to a shameful secret deep in herself for many years. She swore to herself that she would take it to the grave, where no living soul could ever find out. As Casillas struggled to find freedom from her past, due to the abuse she experienced, her battles with feelings of entrapment, her fears, and social anxiety got out of control. Such feelings of entrapment lead Emilia to the arms of Jesus Christ, her savior. On this path her faith began to soar higher than ever before. The sudden grace of her heavenly father began to manifest in her life. God’s hand was at work day and night, healing the broken pieces from her mind, heart, and emotions that no self-help book or counselor could ever do. Author Emilia Casillas attends the Cause Church in Brea, California, hosted by Pastors Bob and Sherry Reeves. She works as a massage therapist in the city of Whittier.